It may be only a matter of time before you hear an unearthly voice, declaring “Ph’nglui mglw’nafh Cthulhu R’lyeh wgah’nagl fhtagn.”* If you get that call, hang up. It’s just the “Robocall of Cthulhu,” encouraging you to waste your vote on a meaningless, fictional character. Because, you know, it’s edgy. Like, early nineties edgy. Before you open your door for another canvasser in an engineer’s cap and steampunk goggles telling you that Cthulhu is the new Mickey Mouse, consider the fact that Aleister Crowley would never interrupt your dinner to encourage such a wasted vote on a fictional character. He even criticized the Revd. H. d’Arcy of Corpus Christi College at Cambridge for having crossed out the names of Parliamentary candidates and writing in “I vote for King Jesus.” For, although Aleister Crowley recognized that voting is usually meaningless, he nevertheless understood that Jesus is a fictional character lacking a practical political philosophy. A vote for a real candidate is meaningless; a fictional non-political character, doubly so. In fact, it may be in these heady days of late capitalism and corporate fascism, the only meaningful vote you can cast is one for a dead philosopher. 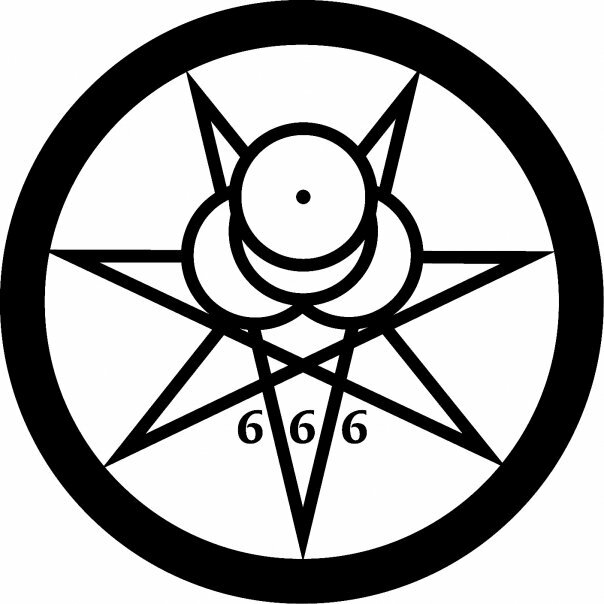 Write in Aleister Crowley in 2012! 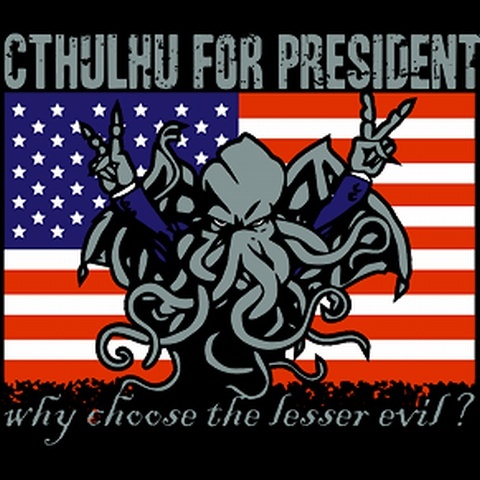 A vote for Cthulhu is meaningless, expressing mere dissatisfaction, and failing to send a positive message—a message about what Americans and all people truly want: freedom. Of course, we are aware that nihilism is far more popular than individual liberty these days. After all, Obama is in the White House! So, who’s going to the H. P. Lovecraft Film Festival and CthulhuCon next year? This entry was posted in Aleister Crowley 2012, Pop Culture and tagged 2012, aleister crowley, cthulhu, election, freedom, jesus, liberty, mickey mouse, politics. Bookmark the permalink.